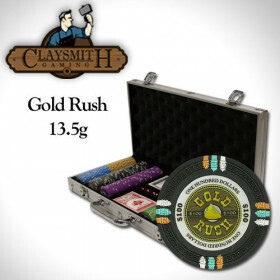 Upgrade your home game with this high quality Gold Rush poker chip set. 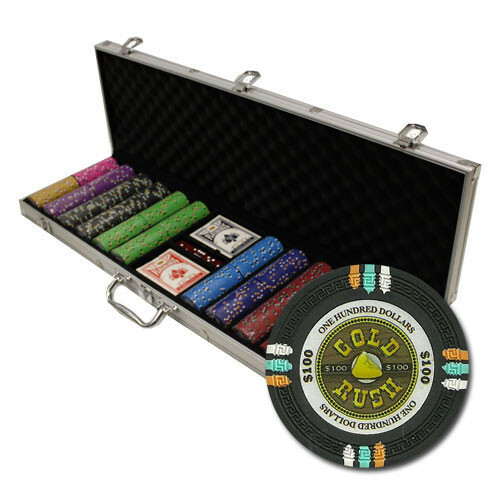 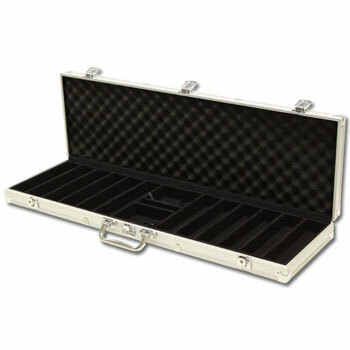 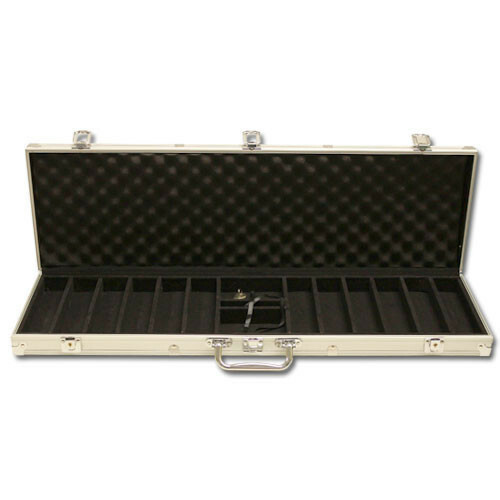 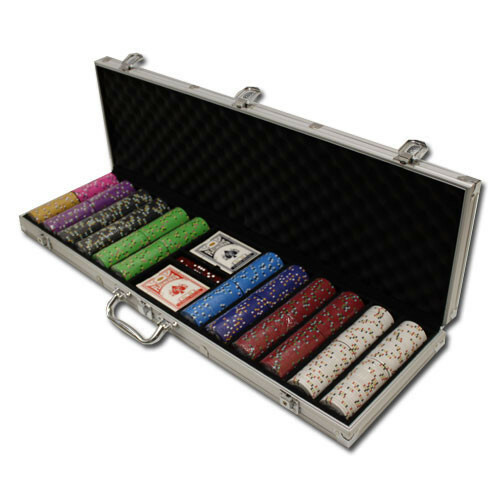 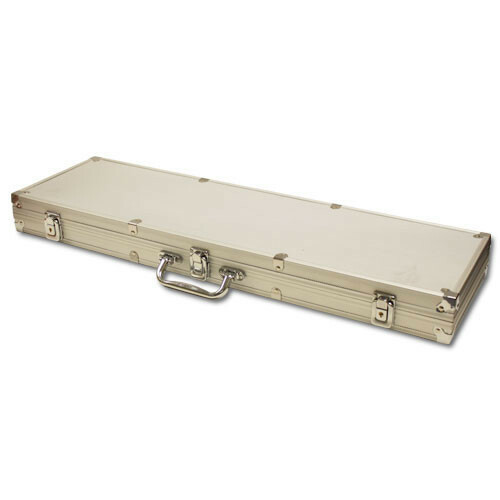 You get 600 casino grade poker chips in an aluminum storage case, with 2 free decks of cards, a dealer button and 5 dice to get the party started! 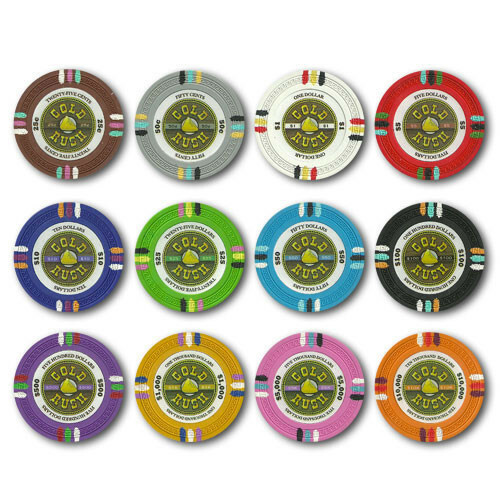 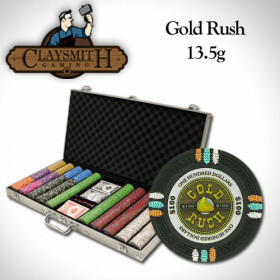 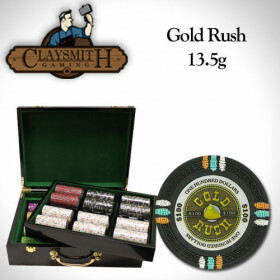 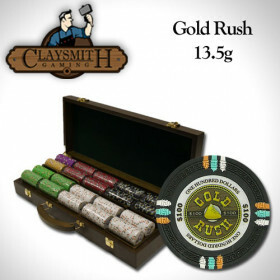 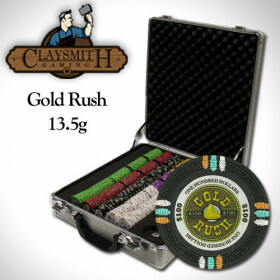 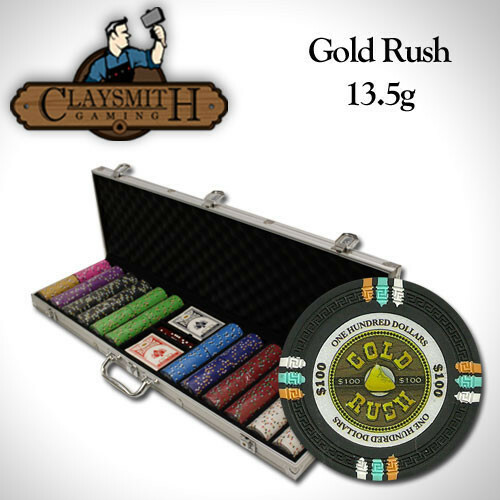 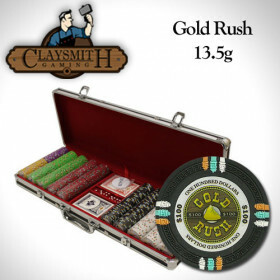 600 Claysmith Gold Rush clay composite poker chips, a free dealer button, 2 decks of playing cards and 5 dice.